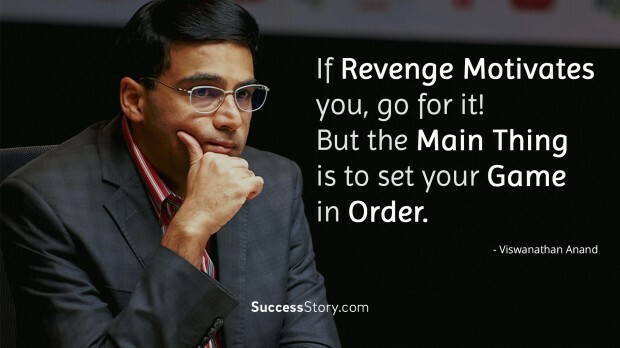 Born on 11 December 1969, Vishwanathan Anand is an Indian chess Grandmaster and former World Chess Champion and is popularly known as “Vishy”. 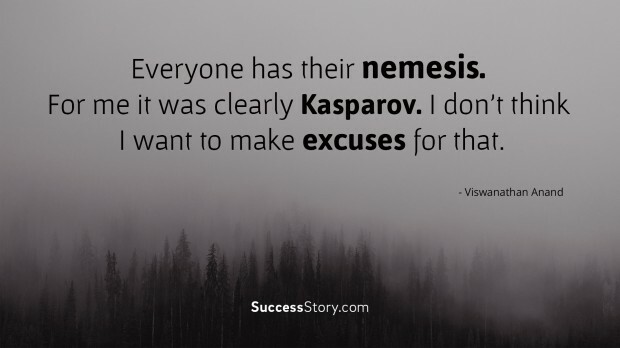 His achievements and title makes him one of the most popular chess players of all time. 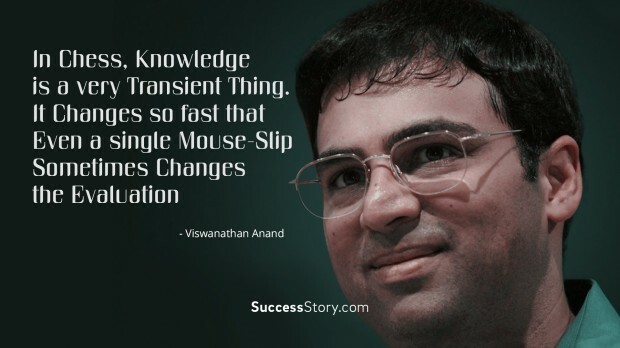 Anand has inspired a country of billions to take interest in sports. He is one of nine players in history to pass 2800 Elo on the FIDE rating list. He occupied the number one position for 21 months, the 6th longest on record. 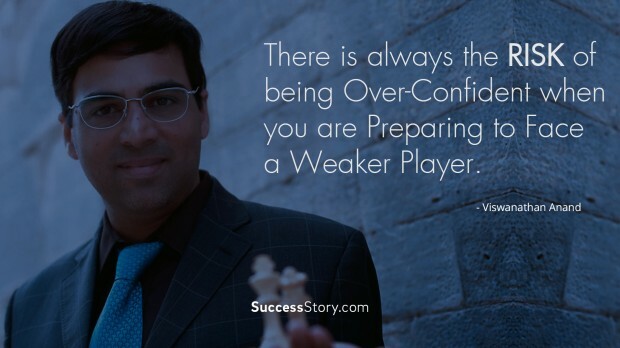 "There is always the risk of being over-confident when you are preparing to face a weaker player." 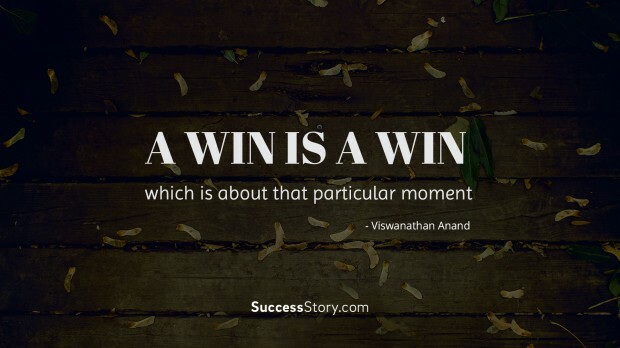 "A win is a win, which is about that particular moment." 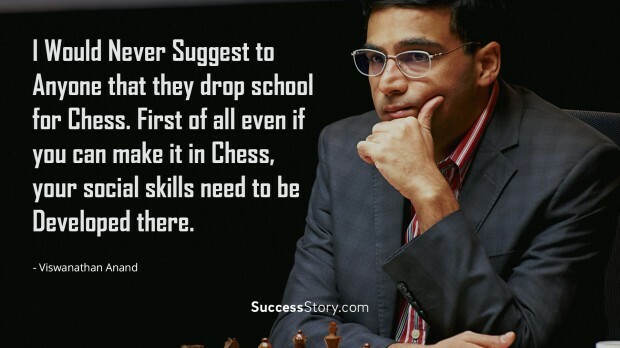 "I would never suggest to anyone that they drop school for chess. First of all even if you can make it in chess, your social skills need to be developed there." 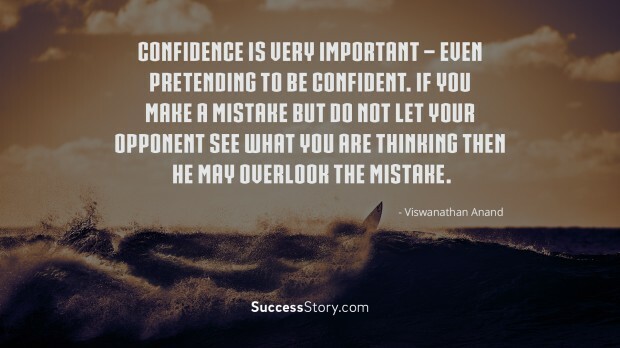 "Confidence is very important – even pretending to be confident. If you make a mistake but do not let your opponent see what you are thinking then he may overlook the mistake." 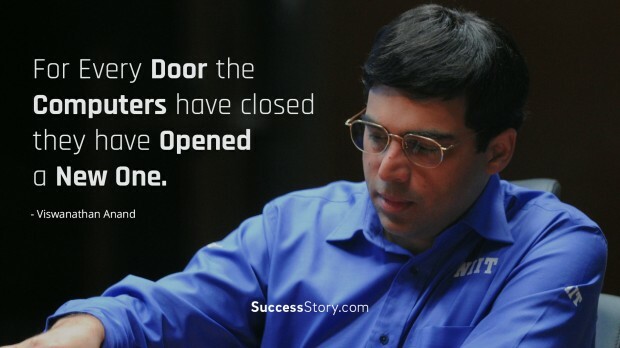 "For every door the computers have closed they have opened a new one"